Ever since antiquity, mankind has been haunted by the spectre of plague, a terrifying infectious disease with several possible clinical aspects. Considered as a divine castigation, this frightening scourge which triggers terror, has erupted here and there as an epidemic, resulting in deadly pandemic which most often than not has originated. in Asia where it was rampant or endemic, and spread rapidly across the world. At last, by the end of the nineteenth century the triumph of modern medicine against this terrible scourge started to be outlined and finally this was achieved with the works of four medical officers of the Colonial Medical Corps. 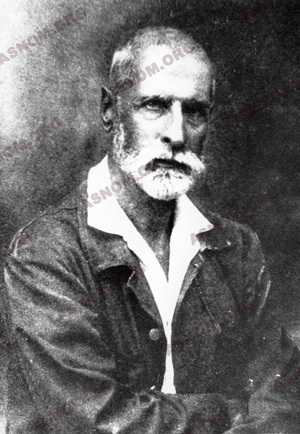 - A.Yersin* who discovered the pathogen in Hong Kong in 1894. - P.L. 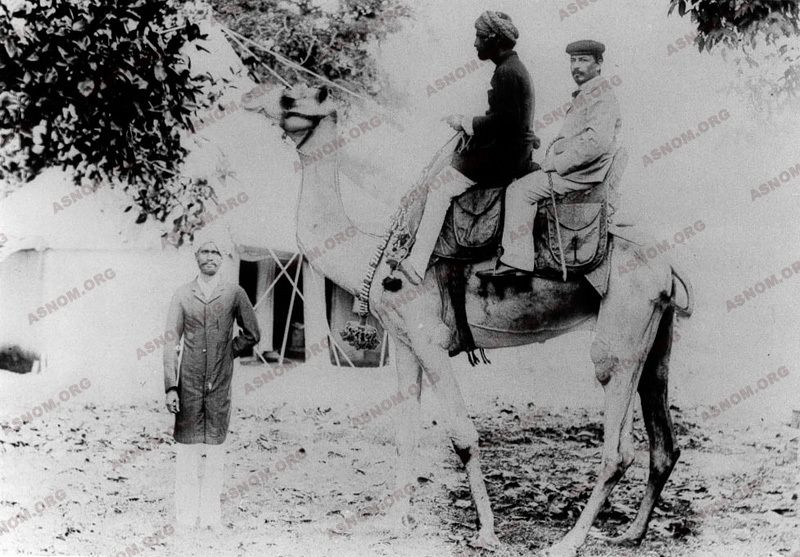 Simond* who discovered the "animal reservoirs" and the way of transmission in Karachi in 1898. - G. Girard* and J. Robic* who developed a vaccine in Antananarivo, Madagascar in 1933. One cannot help from being struck by the fact that none of these Colonial Army Physicians was awarded the Nobel Prize. Once a thorough understanding of its epidemiology was obtained, plague could be curbed by putting in place adequate means of prevention. But still today some small foci remain active such as the ones in the United States, in Mauritania, or Madagascar. They are nevertheless kept in check as the discovery of the sensitivity to antibiotics of the involved pathogen known as Yersinia Pestis, and also of the rat flea's sensitivity to insecticides have been real breakthroughs in the methods of fight and of prevention. The typical form of plague in humans in that of Bubonic Plague. After a symptomatic incubation period which lasts between two to five days the onset is very sudden with a large and painful lymphatic node which most of the time is in the groin area. It is escorted with a high grade fever. The patient's condition deteriorates very quickly progressing to his death with the clinical picture of a sepsis. Nevertheless, this form, the most frequent, remains the least serious, depending on the epidemics, death occurs only in 30 to 80 % cases. - Pneumonic Plague. The illness starts suddenly and is highly contagious through the inhalation of droplets of expectoration. The outcome is unvaryingly a fatal one when no adequate therapy is available. - Septicaemic Plague. This variety is characterized by the proliferation of bacteria in the blood stream without any special organ involvement. It is a lightning variety escorted with haemorrhages and known as "Black Death". It used to be lethal, but could be cured in case of early treatment. It is at the acme of all epidemics. Pulmonary plague is transmitted from a sick individual to an unscathed individual through salivary droplets. This variety is encountered in countries with a cold climate such as Manchuria where a terrible epidemic occurred in 1910-1911 killing many people and among them a young naval Medical Officer by the name of Gerald Mesny* who had been commissioned to go there. - The first of them, known as the Justinian Plague (Sixth century A.D.) struck mostly the regions around the Mediterranean shores. Most likely it started in the wilderness in Central Africa and later reached Egypt along the Nile River and took a toll of around one hundred million fatalitiess. - The second one named The Black Death or Medieval Plague probably originated in Asia and spread from the Russian steppes and the Caspian Sea region. The whole Europe was struck and nearly half of the entire population died. It peaked in the mid fourteen fifties but continued to run its course with epidemic flare ups well into the eighteenth century such as the one which occurred in Marseilles in 1720. - The third one called "The Oceanic Plague" started in China and reached all continents aboard homebound ships : India, Japan, East Africa, Portugal, Australia, Philippine Islands, America and Indonesia. 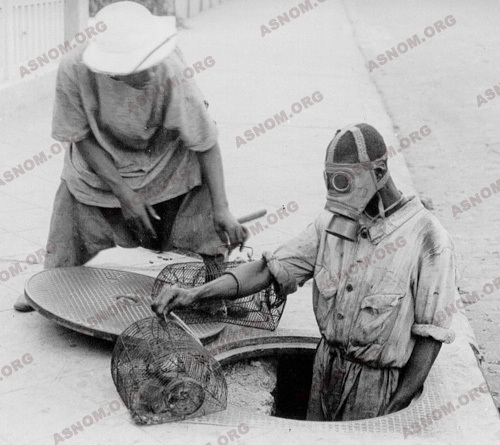 Outbreaks scourged the world between 1891 and 1948 and killed roughly twelve million people. Upon Yersin*'s arrival in Hong Kong in June 1894, this scientist who had been one of the earliest trainees of Pasteur saw that plague was wreaking havoc on the life of the population. More than ten thousand fatalities had been recorded over the fortnight preceding his arrival. Indochina's Governor General who feared that the disease would spread beyond the Chinese border had commissioned him to get there. Yersin had brought along with him a microscope and an incubator. A Japanese by the name of Shibasaburo Kitasato, who was one of Robert Koch's former trainees, was already there with some more sophisticated equipment. Yersin had a shack built for him near the Hong Kong Hospital. He lived and worked there non-stop and as he had not been cleared by the British to see patients he had to make do with patients corpses, taking into account one of Pasteur's advice "Work on your own and have also your own corpses". A week into his stay, one of the mice he had inoculated with a sample of pus taken from a bubo on a corpse, died. Its spleen contained "very small, stocky, round tipped bacilli which could be stained only with difficulty". A week later well developed cultures had grown in the test tubes he had inoculated. Yersin sent his report to the Indochina Governor General and shipped a culture of bacilli to the Pasteur Institute in Paris with also twenty pipette tips containing some bubo pus. No other information is available about this shipment. As a former ship surgeon of the "Messageries Maritimes" a steamship company, we presume that he entrusted some of his former fellow ship surgeons and friends with his precious tubes. This bacterium remained alive during the voyage which was one month long without any need of subcultures. It did not take long to the Pasteur Institute in Paris to confirm the discovery and this micro-organism was named at first Yersin bacillus or Pasteurelli Pestis. A new genus was later set up and Yersin Bacillus became known as Yersinia Pestis. The discovery of the pathogen responsible for a disease which had taken a heavy toll on mankind over thousands of years was immediately acknowledged as being an achievement of utmost importance. 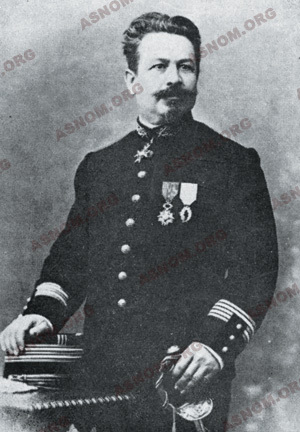 A few months later, when he came back to France, on November 12th 1894, Yersin was awarded the Legion of Honour by Delcasse who was then Minister of Colonies. The Chinese press praised the discoverer and requested that his bust be put in the pagoda of the five hundred genii in Canton. 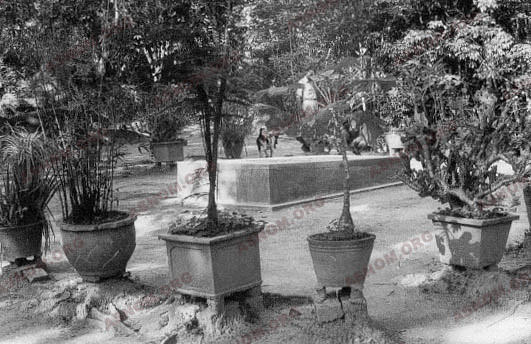 With his inquisitive set of mind Yersin was an innovator in many other fields .He developed the cultivation of the hevea tree in Indochina and subsequently this country became an important latex producer. He also introduced and acclimated the cinchona and in so doing made the region self sufficient for its quinine needs. 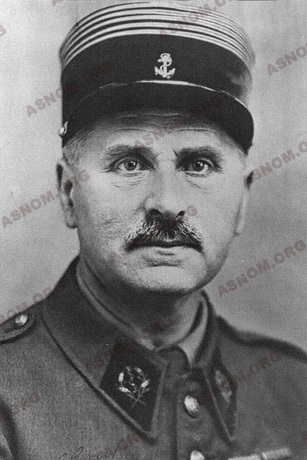 He died in 1943. His remains are still in Nha Trang Indochina which is a country he had felt so deeply attached to for fifty three years of his lifespan. The Vietnamese people honour his grave today in the same way as they do for their greatest national heroes. Since the most ancient times, it had been well known that plague flare ups were associated at least in the early days of an outbreak with an increased rate of mortality in rats. After isolating and investigating bacteria of human and murine plagues, Roux and Yersin concluded that they were facing the same pathogen. In 1897 P.L. Simond*, arrived in Bombay in order to fight, with the use of Pasteur Institute anti-pesta sera, the terrible plague outbreak of the time, which had already claimed the lives of over thirty two thousand people during the two preceding years. At that point in time the prevailing theory which was supplemented with some additional data in bacteriology provided that transmission occurred through "miasmas". Simond was aware of the fact that the same pathogen was responsible for murine and human plagues. A few months later he was sent to Karachi where the epidemic was in full swing. In Bombay he had frequently noticed on the skin of patients the presence of a small vesicular lesion which contained multiple bacilli. Therefore he suspected the role of an insect bite, and fleas are biting parasites which are shared by both humans and rats. The digestive tracts of fleas caught on plagued rats contains bacilli while the ones of unscathed rats do not. At the Reynolds Hotel where he had been accommodated, on June 2nd 1898, he carried out a crucial experiment in the outhouse by placing with extreme care, side by side in a cage two rats which were separated by wire netting : one was plague stricken while the other one was unscathed. He brought uncontaminated fleas into the cage and a few days later he found that the previously unscathed rat was now displaying symptoms of plague. Simond wrote in his diary "I was deeply moved with the inexpressible feeling of having just betrayed a secret which had scared mankind since the early days of plague in the world". He reported his finding to E. Roux who was at the head of the Pasteur Institute and a paper was published in the October issue of the "Annales de l'Institut Pasteur". He devised the strategy which had to be implemented to fight against outbreaks of the disease. Action had to be focused and taken methodically on the three following points : transmitting parasites, rats and humans as both are together "pathogen reservoirs" and victims of the disease. This finding was of course disputed. The role of micro-organisms had been well established with Pasteur but the possible role of transmitting insects was then very little known. 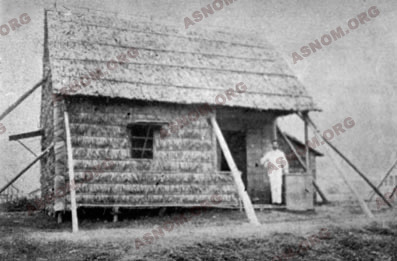 Twenty years earlier Manson had evidenced that filariosis was mosquito-borne and later Finlay had found that Yellow Fever was also mosquito borne. Bruce had identified the role of glossinas in the transmission of animal trypanosomiasis. Simond altogether with them was then a great innovator. Shortly after his discovery in August 1898, he had to go to Darjeeling which is a mountain health resort of northern India, to recover from a spell of malaria. A British medical officer named Ronald Ross had requested an appointment with him which in the end never took place : it was he who had found the role of anopheles in the transmission of avian malaria, and he was later awarded the Nobel Prize in 1902. The King of England subsequently made him a Lord. Further studies made clear that not all flea species carry the same risk of contamination. In species where bacilli can swiftly proliferate such as the rat's flea a clot takes shape in the stomach which is a pure culture of Pasteurella Pestis. When the flea feeds again, blood is regurgitated and in so doing boosts the contagiousness of this species. Plague was brought to Madagascar in 1898 aboard a freighter which had sailed from India with a rice cargo. During the ten next years small epidemic outbreaks occurred in coastal regions. Arriving from Mauritius in 1921 it struck again, but this time it reached the Central Highland region, where with colder temperatures pneumonic plague cases occurred, directly transmissible from person to person, extremely deadly. This scourge remained active during the next two decades. It peaked in 1933 with 3 579 fatalities among the 3 933 diagnosed cases. None of the inactivated vaccines which had been developed so far with killed pathogens by Calmette*, Shiga, Besredka among others, had provided strong and also durable protection. 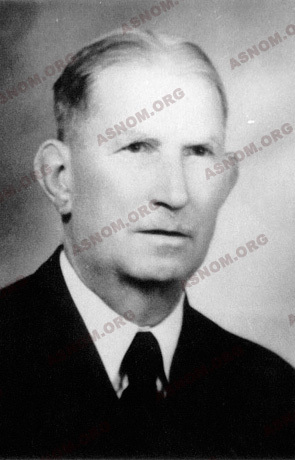 From 1922 to 1935, in the Antananarivo Pasteur Institute, Girard* and Robic* developed a vaccine from the EV strain (EV, the first letters of Evesque, a European child who died of the plague). It was a live vaccine, developed with an avirulent strain of Yersinia Pestis, like the Calmette's BCG against tuberculosis. The immunity which appears three months after being inoculated is a strong one but a booster shot is needed once a year. The concerned researchers and their staff deserve praise as they carried out the first trials on themselves, at the time when no efficient medication was available once the disease had started. Over the next few years, the use of this vaccine was widened : thirteen thousand Malagasy people were inoculated in 1934, fifty thousand in 1935 and from 1936 onwards the entire population. This vaccine has also been used in Argentina, Brazil, in Sub Saharan Africa and Vietnam where it was still produced in the nineteen eighties. It is still inoculated in Kazakhstan in small isolated villages where small foci of plague are still found. The spread of epidemics is partly related to fleas mores and to their feeding habits. They are hosted by many mammals and birds. There are numerous species of them and each has a preferred but not exclusive animal host. Males and females feed on blood and abandon their host shortly once it dies. - Wild rodents plague is a wild rodents disease and this characteristic makes its eradication impossible worldwide. The disease keeps going in natural foci with the survival of bacilli in the most resistant hosts and when a susceptible species is contaminated it comes close to its full extermination. Humans are only exceptionally involved in this cycle and information is available only with making counts of wild rodents. - Rural plague affects rodents and also rats, which live in human surroundings. This kind of plague foci are still found in Northern India, in Madagascar and in Central America... Rat fleas are not fond of human blood and man is only bitten by mere chance. He will subsequently have bubonic plague but will not transmit the disease unless he is hosting human fleas. - Urban Plague happens only with human fleas. At all times but especially in cold places there is a risk of seeing the disease shifting from the bubonic to pneumonic variety which carries the most severe prognosis and is directly transmitted from an individual to another. Very early on, the Colonial Medical Corps advocated and subsequently laid out a rational method of fighting against rats, which are the most important pathogen reservoirs and which also are the ones living close to humans. In Indochina rat hunters received a bounty. In the nineteen tens around one hundred thousand rats were exterminated each year. 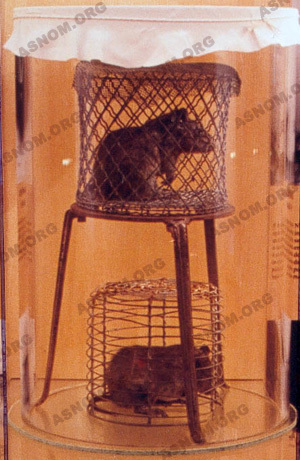 Traps were set up to catch rats which could be screened for plague bacilli as a murine plague epizootic precedes a human epidemic. In Madagascar, the bounty was awarded upon displaying the rat's tail and in Antananarivo, children became quickly expert rat hunters. Later on, poisoned baits were used to get rid of these dangerous commensal animals. A clinical warning system was also set up in sensitive areas (Madagascar Highlands for instance) so that the first cases could be reported shortly after their occurrence. When in doubt, the post mortem screening of a liver sample had to be carried out as if this scourge kept going undetected during the next fifteen to twenty days it would later be very difficult and nearly impossible to control. All cases must be notified to Health Authorities according to the rules set up in the International Health Regulations. Each year several hundred cases are reported worldwide and still now a close monitoring of harbours and airports is carried out. There is a periodic implementation of measures to exterminate rats in port cities which are also systematically used for ships arriving from places of endemicity. Rat proof devices which are used on wharves, in houses and attics help to defuse any risk. But wild plague remains beyond all attempts of eradication and remains a threat which populations are equipped to face with antibiotics as the involved pathogen is susceptible to antibiotics and low cost sulfonamides. Moreover killing fleas with insecticides puts in check an outbreak of the disease. Still, a close watch has nevertheless to be kept as there has been a few reports of resistance of the pathogen to antibiotics and also of some instances of flea resistance to insecticides. The Girard et Robic vaccine has been improved since 1935 and the Pasteur Institute now produces only a new generation vaccine which is made of killed bacteria. - Yersin A. : La peste bubonique à Hong-kong. Ann. Inst. Pasteur 1894,8, 662-667. - Simond P.L. : La propagation de la peste. Ann. Inst. Pasteur 1898,12,10 626-686. - Simond P.L. : Comment fut mis en évidence le rôle de la puce dans la transmission de la peste. Rev. Hyg. 1936,58,1-17. - Mollaret H. : Yersinioses. Encycl. Méd.-chir. Maladies infectieuses 1968. 8-035 D10, 1-12. - Voelkel J. : La vie et l'uvre de Simond P.L. 1858-1947. Méd. Trop. 1969,29,429-441. - Balthasard M : État actuel de la peste dans le monde -foyers naturels-. Bull. Soc. Path. Exo. 1971,64,5,711-713. - Brygoo E.R. : La peste. Etudes médicales. Le Caire. 1974, n°2, 63-111. - Mollaret H. Brossolet J. : A.Yersin ou le vainqueur de la peste. 1 vol. 321p. Fayard Edit. 1985 "Les Inconnus de l'histoire". - Lemarchand-Copreaux F. : La vaccination antipesteuse. Pour la science. 2000,273,10-13.